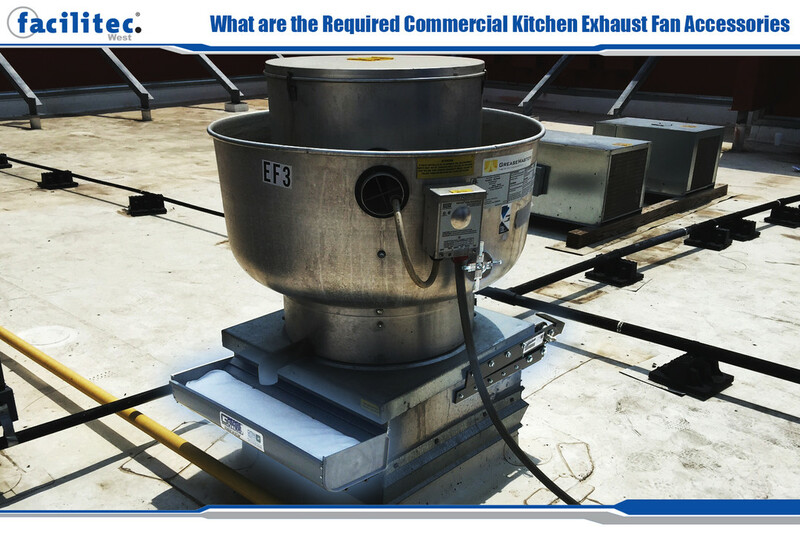 When purchasing an upblast fan for your commercial kitchen, there are several exhaust fan accessories you need. Some are required by law, while others make it easier and safer for personnel to access equipment for routine maintenance and cleaning. When installing a rooftop ventilator, you should be familiar with the National Fire Protection Association’s fire code (NFPA 96) and check your local regulations. 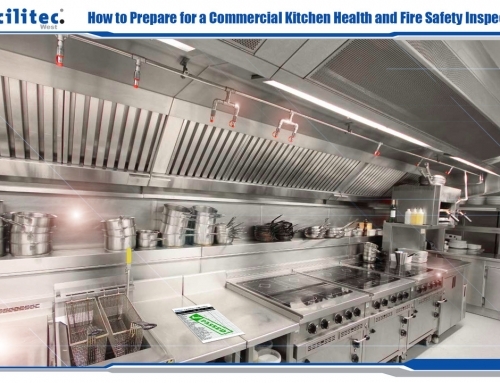 The NFPA 96 fire codes require all commercial kitchens install a grease box, hinge kit, and access panel on all upblast exhaust fans. The grease box is installed under the downspout on your exhaust fan. 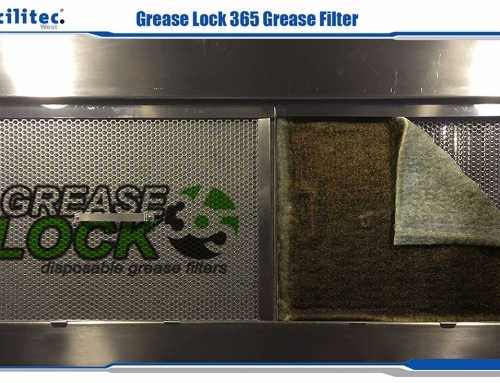 The grease box captures fats, grease, and oil runoff from the fan. It is required because it is important to keep grease off of your rooftop. If grease runs off onto your roof, it becomes a dangerous fire hazard. Your roof structure is also at risk when grease and oil build up on the surface. And if your roof begins to leak, that can cause a whole lot of new problems and jeopardize the safety of your roof’s structure. Grease and oil residue on your roof can also become an environmental hazard. If it is washed away by rain, it can enter the storm water supply or nearby streams and rivers. Rooftop grease runoff is also dangerous to workers who need to access equipment on the roof. Slips and falls are more likely to happen on areas of the rooftop that are coated in a slimy film of grease. Another exhaust fan accessory required by NFPA 96 is an exhaust fan hinge. The main purpose of exhaust fan hinge kits is to keep the exhaust fan from falling open too far. This protects both the personnel accessing the fan for maintenance and cleaning as well as the components of the fan itself and the rooftop. Installing a fan hinge kit allows the fan to be opened without having to lift the entire fan off of the base. It will protect your fan from damage and it will also protect your rooftop from being damaged by the fan. The ability to keep the exhaust fan from closing once it is opened is an added safety feature called a hold-open retainer. It is certainly welcomed by anyone who needs to access the interior of the upblast fan. It is also sometimes required by local regulations, insurance companies, or even landlords. 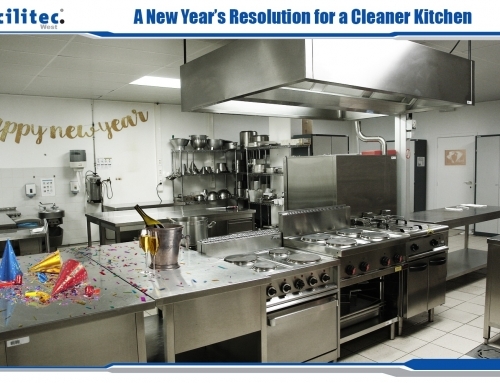 NFPA 96 requires that all upblast exhaust fans have an access cleanout port. Basically, it is a 4” hole that is drilled into the side of your fan at the level of the wheel assembly. 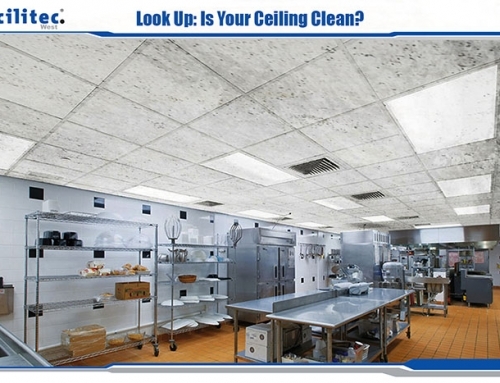 The cleanout port allows hood and ventilation cleaning professionals direct access to the fan blades. Without this direct access, thoroughly cleaning the blades would be next to impossible. If fan blades are not properly cleaned, it can cause your fan to become unbalanced and cause unnecessary wear and tear on your equipment. It can also contribute to your fire hazard risk. 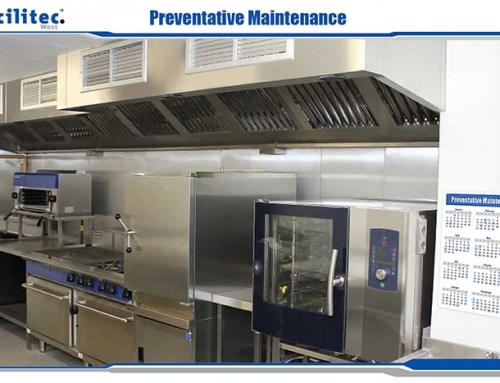 Keeping your commercial kitchen safe from burning down is probably one of your main priorities. You need to protect your employees as well as your investment, and as much as we hate them, fires are extremely common. That’s why Facilitec West is your go-to business to make sure you always meet NFPA 96 rules and regulations.